Horseback riders have an immense amount of bits to choose from, all varying in style, function, discipline, and severity. Knowing the basics of bits is an important first step in choosing the perfect bit for you and your horse. 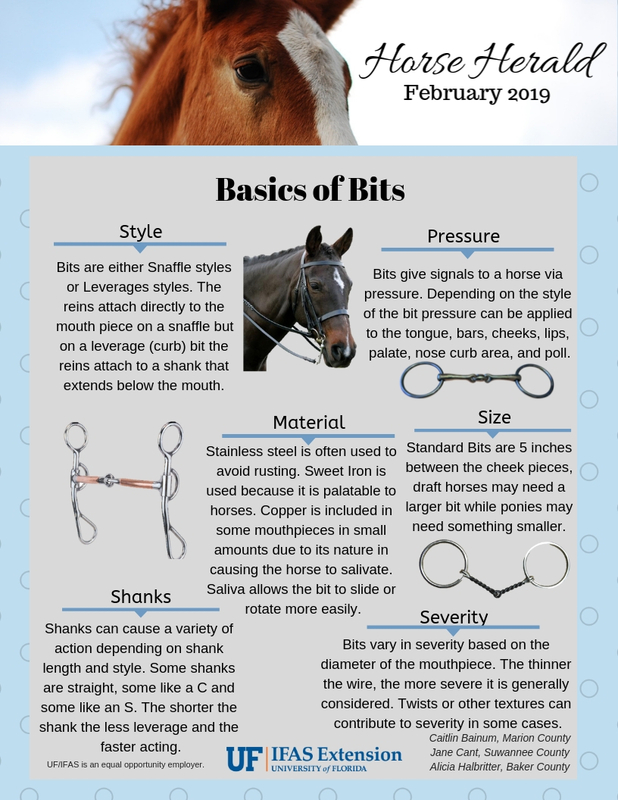 Check out the latest edition of the Horse Herald below for everything you need to get started learning about bits! Agriculture & Natural Resources Agent in Baker County, Fl.